The 18-hole Canada course is a 6,713-yard par 72 with a rating of 72.2 and a slope of 140. The natural terrain comes into play as fairways wind through ravines and arroyos. The challenge of this course is in the proper club selection. Many golfers prefer the Canada course because it demands a good deal of strategy, requiring a player to use every club. There's a lot of variety on Canada - with considerable mounding, doglegs and elevation changes from the tee to the green. There are many birdie opportunities on the par 4's, but the risk may outweigh the reward for some golfers. 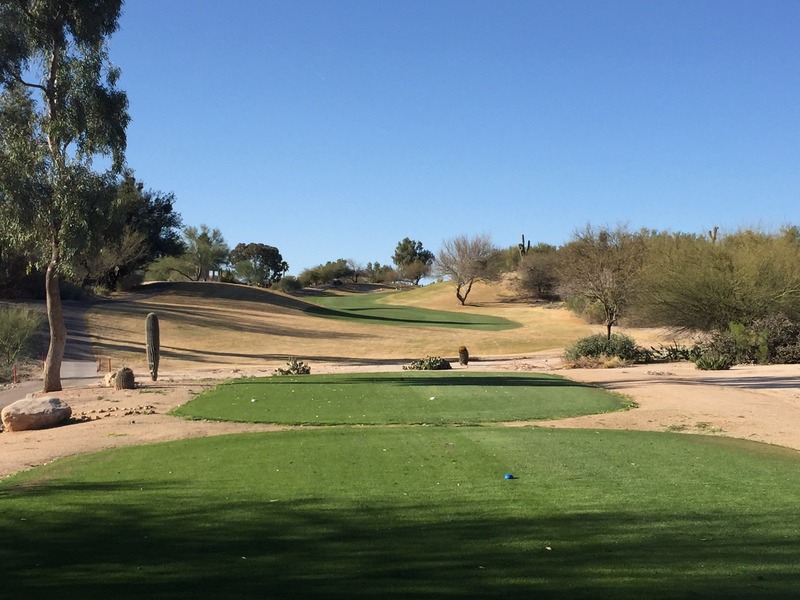 The signature hole is the 183-yard 8th hole, considered by many to be the toughest par 3 in Tucson. 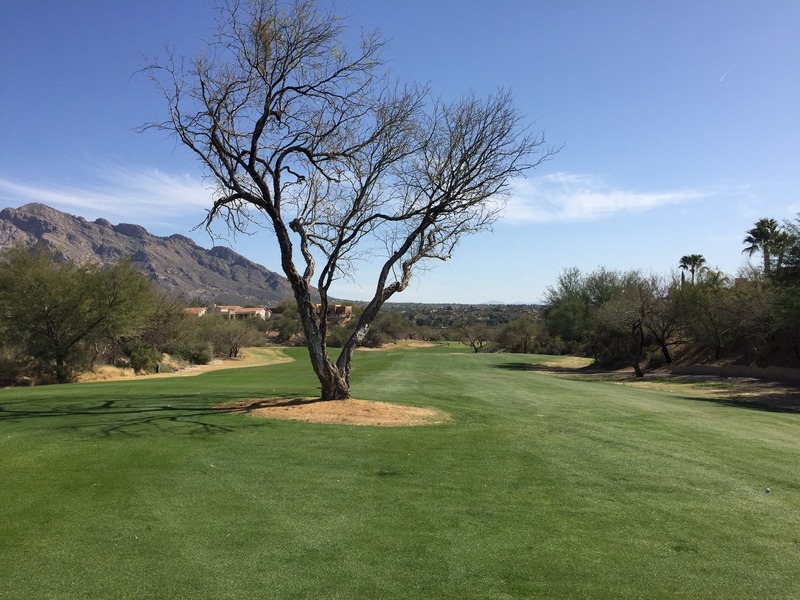 Players drive uphill along a narrow ridge and aim between two towering Saguaro cacti just 40 yards out from the tee box. The green is surrounded by natural desert that falls into canyons on either side of the green. Both the 4th and 5th holes begin from elevated tee boxes surrounded by cacti, which give the player the opportunity to experience "target golf". Players must hit strong; well-executed tee shots on these par 4's to land the ball in these narrow fairways.